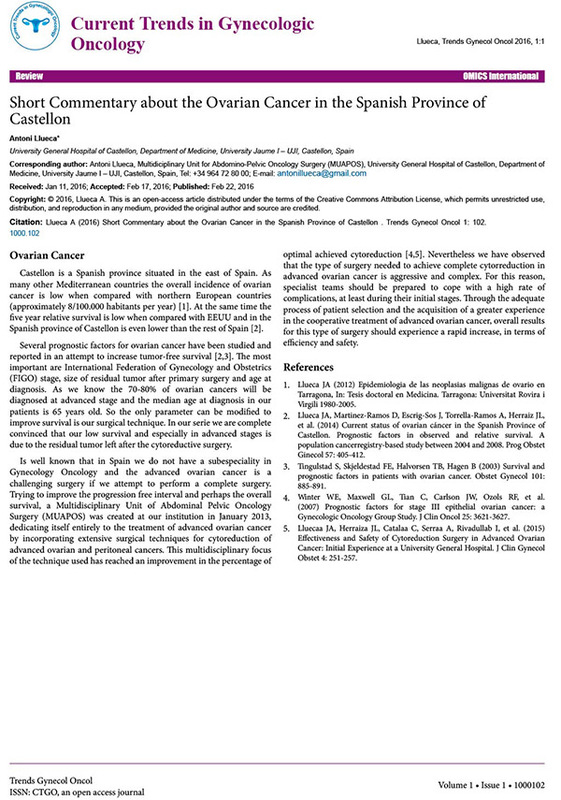 Antoni Llueca, Multidiciplinary Unit for Abdomino-Pelvic Oncology Surgery (MUAPOS), University General Hospital of Castellon. Castellon is a Spanish province situated in the east of Spain. As many other Mediterranean countries the overall incidence of ovarian cancer is low when compared with northern European countries (approximately 8/100.000 habitants per year). At the same time the ve year relative survival is low when compared with EEUU and in the Spanish province of Castellon is even lower than the rest of Spain.